driven Bill of Rights for gifted students of color. includes teachers, administrators, coordinators, counselors, and school psychologists. Dr. Donna Y. Ford @donnayford is Professor of Education and Human Development at Vanderbilt University. She teaches in the Department of Special Education and holds a joint appointment in the Department of Teaching and Learning. Dr. Ford has been a Professor of Special Education at the Ohio State University, an Associate Professor of Educational Psychology at the University of Virginia, and a researcher with the National Research Center on the Gifted and Talented. She also taught at the University of Kentucky. 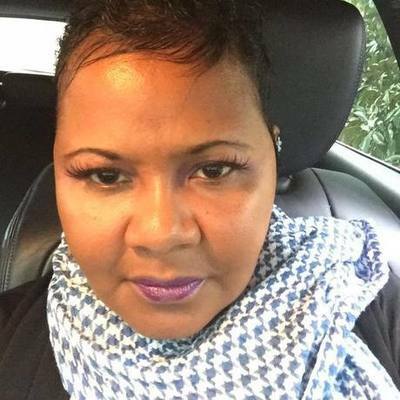 Professor Ford earned her Doctor of Philosophy degree in Urban Education (educational psychology) (1991), Masters of Education degree (counseling) (1988), and Bachelor of Arts degree in communications and Spanish (1984) from Cleveland State University. Professor Ford conducts research primarily in gifted education and multicultural/urban education. Specifically, her work focuses on: (1) recruiting and retaining culturally different students in gifted education; (2) multicultural and urban education; (3) achievement gaps; (4) minority student achievement and underachievement; and (5) family involvement. She consults with school districts, educational, and legal organizations in the areas of gifted education, Advanced Placement, and multicultural/urban education. Professor Ford’s courses focus on these topics. 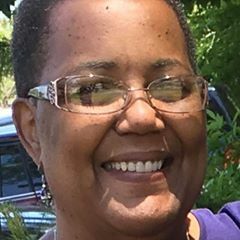 Dr. Joy Lawson Davis @davis_joy is is presently an Associate Professor of Education and Chair, Dept of Teacher Education at Virginia Union University in Richmond VA. Dr. Davis is a career educator with over 30 years of experience as a practitioner, scholar, author and consultant. In addition to local district and university experiences, Davis served for five years as the Virginia State Specialist for K-12 Gifted services. A graduate of the College of William & Mary Dr. Davis holds both master’s and doctorate degrees in Gifted Education. Davis has conducted workshops, been a long-term program consultant, and served as a keynote speaker and distinguished guest lecturer across the nation, in South Africa and the Caribbean. Diversity Education and Gifted Education are her areas of special expertise. As a highly sought after speaker and vocal advocate for increasing access and equity in gifted education, Davis is often called upon by other scholars, parent advocacy groups and other organizations to share and provide feedback when related matters come to the attention of the general public through mass media. Dr. Davis has published numerous articles, technical reports and book chapters. Dr. Davis’ award-winning book, Bright,Talented & Black: a Guide for families of African American gifted learners is the first of its kind on the market to specifically address the advocacy needs of Black families raising gifted students. Dr. Michelle Troutman Scott is the College of Education Director of Graduate Studies and an Associate Professor of Special Education in the Literacy and Special Education Department at the University of West Georgia. 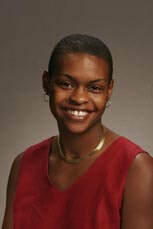 Michelle has served as a superintendent of a charter middle school and a director of a charter elementary school Ohio. She also taught and coached in the Columbus (OH) Public School System. Dr. Trotman Scott earned her doctor of philosophy degree in applied behavior analysis with an emphasis on special, gifted, and urban education; her master of arts degree in technology education; and her bachelor of science degree in education from The Ohio State University. Dr. Trotman Scott's research interests include the achievement gap, special education overrepresentation, gifted education underrepresentation, creating culturally responsive classrooms, and increasing family involvement. She has conducted professional development workshops for urban school districts and has been invited to community dialogues with regard to educational practices and reform. She has written and coauthored several articles and has made numerous presentations at professional conferences. Dr. Tarek C. Grantham is a Professor in the Department of Educational Psychology at the University of Georgia (UGA), and he teaches in the Gifted and Creative Education Program (GCE), primarily in the Diversity and Equity Strand. He has served as Program Coordinator of the GCE Graduate Program, and he Co-Directs the GCE University-School Partnerships for Achievement, Rigor, and Creativity (Project U-SPARC) initiative. Dr. Grantham’s research addresses the problem of under-representation among ethnic minority students, particularly Black males, in advanced programs. He co-edited two books: Gifted and Advanced Black Students in School: An Anthology of Critical Works (2011), and Young, Triumphant, and Black: Overcoming the Tyranny of Segregated Minds in Desegregated Schools (2013). 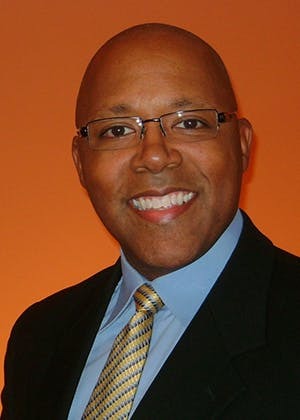 Dr. Grantham has served in leadership roles within the Special Populations Network such as Convention Program Chair, Network Chair, and Jenkins Scholars Award Program, and he has been a member on the NAGC Education Commission and its Diversity and Equity Committee. Dr. Grantham has been awarded the Mary M. Frasier Excellence and Equity Award by the Georgia Association for Gifted Children for outstanding achievement in practices that promote equitable identification policies and practices for high-quality services to gifted students from under-represented groups.